An active ingredient is the component of a medication responsible for the medication’s effects. In addition to therapeutic benefit, an active ingredient can also cause adverse or unintended effects which can result in patient discomfort or worse. 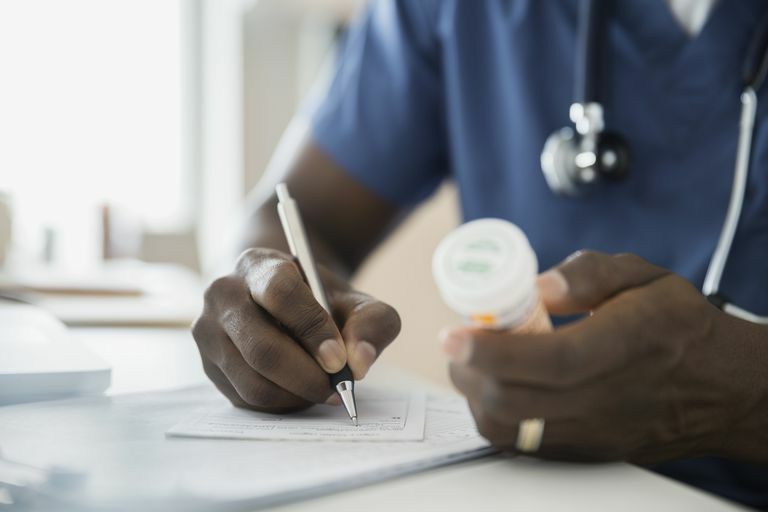 When prescribing most medications, the beneficial effects of the medication should outweigh any adverse effects. Furthermore, adverse effects should be tolerable. If the active ingredients in a medication are substantial and intolerable, the drug is usually discontinued. "An active ingredient is any component that provides a pharmacological activity or other direct effects in the diagnosis, cure, mitigation, treatment, or prevention of disease, or to affect the structure or any function of the body of man or animals." Active ingredients are also known as therapeutically active ingredients or pharmaceutically active ingredients. In addition to active ingredients, medications also contain inactive ingredients, such as colors, binders, and preservatives. The active ingredient in Zoloft, or sertraline, a prescription medication used to treat depression, is sertraline hydrochloride. Sertraline hydrochloride is slightly soluble in water. Sertraline inhibits the uptake of serotonin by blood platelets in the brain. Sertraline likely has little effect on other neurotransmitters, such as dopamine and norepinephrine. Zoloft is a selective serotonin reuptake inhibitor (SSRI) used to treat major depressive disorder, obsessive-compulsive disorder, panic disorder, PTSD, premenstrual dysmorphic disorder and social anxiety disorder. Sometimes the active ingredients of two (or more) medications interact in dangerous ways. For example, when Zoloft is mixed with the psychiatric medications monoamine oxidase inhibitors (MAOIs) very bad things can happen including rigidity, myoclonus, hyperthermia, changes in vital signs, irritability, extreme agitation, delirium, and coma. The resulting clinical presentation is similar to the neuroleptic malignant syndrome. Of note, neuroleptic malignant syndrome presents as muscular rigidity, autonomic instability, fever and mental status changes in people who are taking atypical antipsychotics. The active ingredient in Prilosec, an over-the-counter medication used to treat GERD (heartburn), is omeprazole magnesium. The active ingredient in BJ's Allergy Medicine, an over-the-counter medication used to treat nasal allergies, is diphenhydramine HCL, which is also sold under the brand name Benadryl. Burstein A, Talmi A, Stafford B, Kelsay K. Child & Adolescent Psychiatric Disorders & Psychosocial Aspects of Pediatrics. In: Hay WW, Jr., Levin MJ, Deterding RR, Abzug MJ. eds. CURRENT Diagnosis & Treatment: Pediatrics, 22e. New York, NY: McGraw-Hill; 2013. Satterfield JM, Feldman MD. Anxiety. In: Feldman MD, Christensen JF, Satterfield JM. eds. Behavioral Medicine: A Guide for Clinical Practice, 4e. New York, NY: McGraw-Hill; 2014. What Happens When You Don't Take Medicine as Prescribed?